Lock in a great price for Althoff Seehotel Überfahrt – rated 9.4 by recent guests! Every things were good except room service staff, they were very root . We've stayed here many times over the last 2.5 years. This is a nice hotel and great location. The food at breakfast and the Italian restaurant was not as good as it's been in the past. The scenery is beautiful. Breakfast is outstanding and overlooking the lake. The staff was more than perfect! Warm and helpful approach all the time, during our stay. Delicious food in the restaurants, and even in the lobby. A real 5 star hotel! 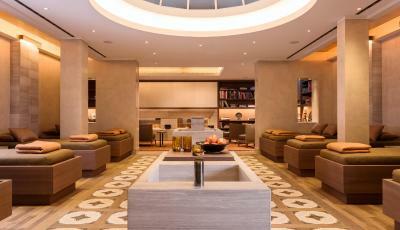 Great spa, delicious breakfast, classy atmosphere and rooms! Absolute friendly and discrete service! Great location at the lake! Just perfect! Well layed-out, spacious room, great balcony with partial lake view and great mountain view, wonderful bathroom and extremely comfy beds. Best of all the hotel understands how to anticipate guests' needs, think bottled water on your night stand delivered with turn -down service which included curtains drawn, mats on the floor with slippers, chocolates, etc. Amazing place! It’s second time in this wonderful hotel on Tegernsee and everything is perfect! One of the best Hotel in the World! Spa also!! Althoff Seehotel Überfahrt This rating is a reflection of how the property compares to the industry standard when it comes to price, facilities and services available. It's based on a self-evaluation by the property. Use this rating to help choose your stay! 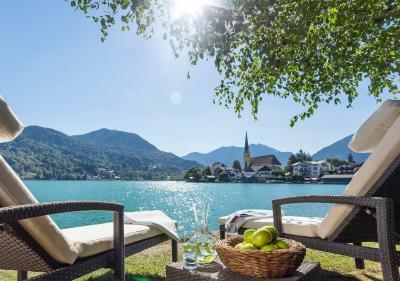 One of our top picks in Rottach-Egern.Directly on the banks of Lake Tegernsee, this 5-star hotel offers an exclusive spa and a 3-star restaurant. Althoff Seehotel Überfahrt features soundproofed rooms with free WiFi and great views of the Bavarian Alpine foothills. All rooms and suites at Althoff Seehotel Überfahrt are elegantly decorated, and come with a spacious balcony or terrace as well a marble bathroom with complimentary Penhaligons toiletries. A satellite TV with SKY channels and a DVD player are also included. The 4 elements Spa by Althoff includes indoor and outdoor pools, 7 different saunas, a modern gym, and a lounge area with a fireplace and library. 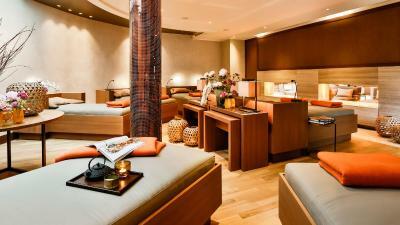 Guests can also book relaxing massages and beauty treatments. 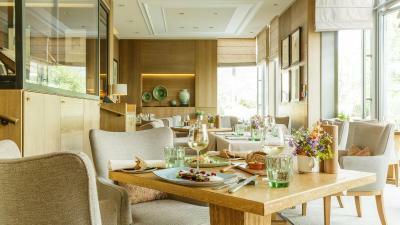 Guests can enjoy creative meals at the 3-star Restaurant Überfahrt, while fine international cuisine is served at the hotel's Italian Il Barcaiolo restaurant. 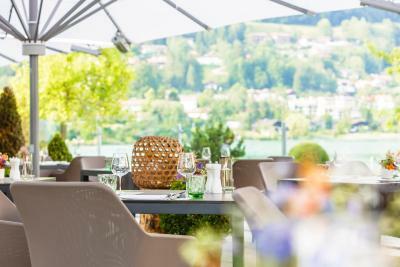 The Bayernstube restaurant has a rustic atmosphere, and the Restaurant Egerner Bucht offers grilled dishes, Alpine specialties and a wide selection of wines. This property also has one of the top-rated locations in Rottach-Egern! Guests are happier about it compared to other properties in the area. This property is also rated for the best value in Rottach-Egern! Guests are getting more for their money when compared to other properties in this city. When would you like to stay at Althoff Seehotel Überfahrt? Stylish room with modern interiors includes a balcony or terrace with mountain views, seating area and a large marble bathroom with a separate WC. Large, elegantly furnished room with scenic views of Lake Tegernsee. Featuring mountain views, Sky satellite channels and a marble-style bathroom with a rainshower, bathtub and heated towel rail. Featuring a direct view of Lake Tegernsee, Sky satellite channels and a marble-style bathroom with a rainshower, bathtub and heated towel rail. Large, exclusively furnished suite on 2 levels. Enjoys scenic lake or mountain views. Spacious room decorated in warm tones features a satellite TV and an private bathroom with a hairdryer and complimentary toiletries. Spacious room featuring flat-screen TV and an private bathroom with a hairdryer and complimentary toiletries. 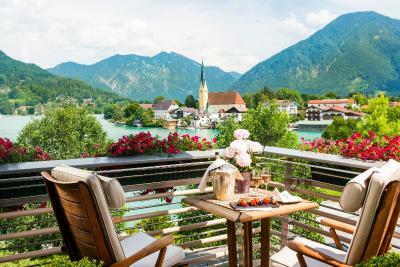 This room offers side views of Lake Tegernsee, and a private balcony or terrace. Features separate living and sleeping areas, 3 balconies and a bathroom with a bathtub and separate rain shower. Complimentary water and fresh fruit are also provided in the room upon arrival. 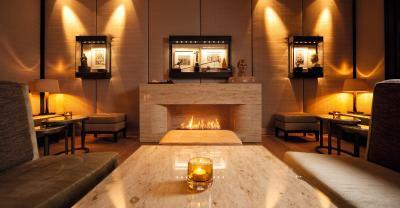 Elegant room decorated with wood, leather, linen and cashmere interiors. Features separate living and sleeping areas. "Überfahrt" (crossing) has provided hospitality for 135 years. In 1837 Josef Höß opened the "Gasthof zur Überfahrt" on the banks of Lake Tegernsee. House Rules Althoff Seehotel Überfahrt takes special requests – add in the next step! One child from 6 to 11 years is charged EUR 49 per person per night in an extra bed. One older child or adult is charged EUR 79 per person per night in an extra bed. Althoff Seehotel Überfahrt accepts these cards and reserves the right to temporarily hold an amount prior to arrival. The water in the pool was much too cold even for an avid swimmer like me, big diappointment. Great hotel, very comfortable beds and very nice, attentive staff. I wanted to pay by card but the card machine was declining every card i use so i was forced to go to an ATM to get cash. The room was not 100% clean i found some old berries under the coach in the room. All good, couldn't fault it. Great hotel. Staff were all very helpful & professional with nothing too much trouble. Excellent rooms, public areas and restaurants Location is superb. Valet parking was a bonus Would certainly return if in that area.